Despite all prohibition Absinthe production continued in moonshine stills at Swiss Val-de-Travers, birthplace of Absinthe. Manufactured using merely traditional methods – but without the treacherous colouring. 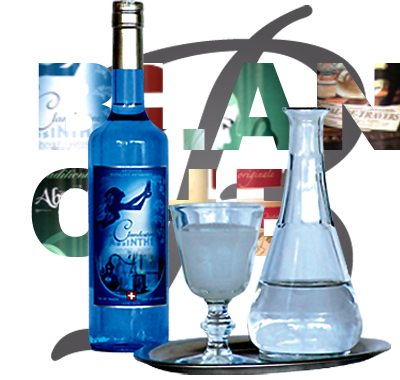 The wormwood growing in this mountain region, the ancient knowledge and the distiller's love for their Absinthe ensure the quality and taste of their product. Drinking recommendation: with 3 parts of water and without any sugar.